If you know Cornish weather you'll know why that's a slightly terrifying thing for a florist to hear! But if you're going to risk it, then Polhawn Fort is the place to do it in. 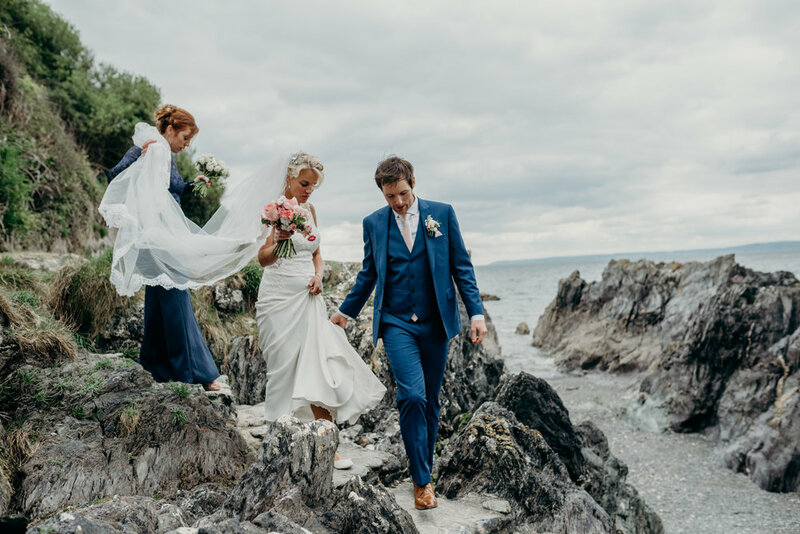 A stunning Napoleonic fort, nestled into the side of the cliffs with sweeping views over Whitsand Bay; it's the perfect venue for a relaxed, romantic wedding. Thankfully, the weather held and Laura and Luke were blessed with glorious sunshine! Laura and Luke had a vision of candles, fresh spring flowers and blossom and a touch of sparkle. 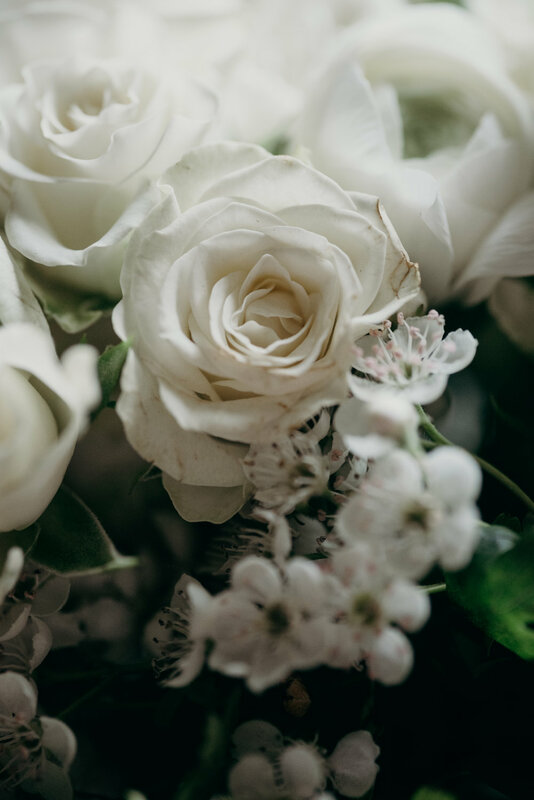 Navy linens and bridesmaid's dresses were the perfect background for tulips, roses and ranunculus and armfuls of locally grown blossom. 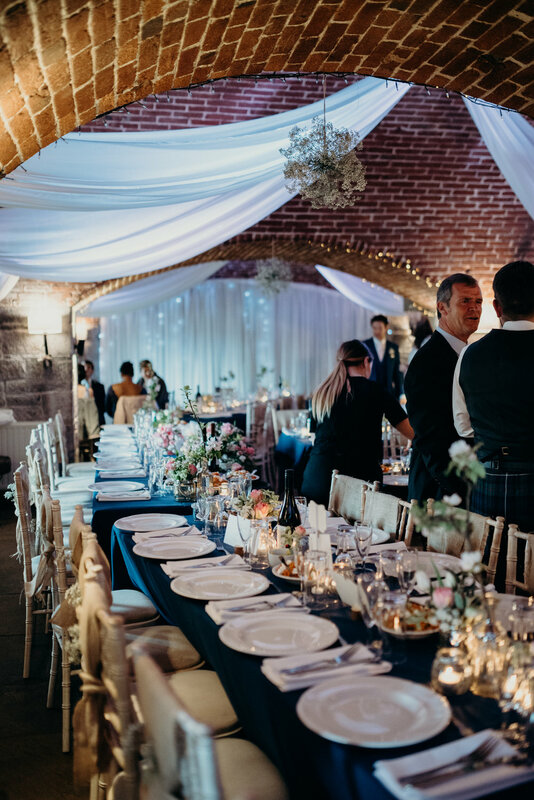 The summerhouse was adorned with roses, foliage, blossom and cow parsley and airy orbs hung from the arches in the fort. Laura's collection of gold mercury glass glittered in the candlelight and Kate from Centrepiece Cakes did a gorgeous job of decorating her amazing cake with my flowers. 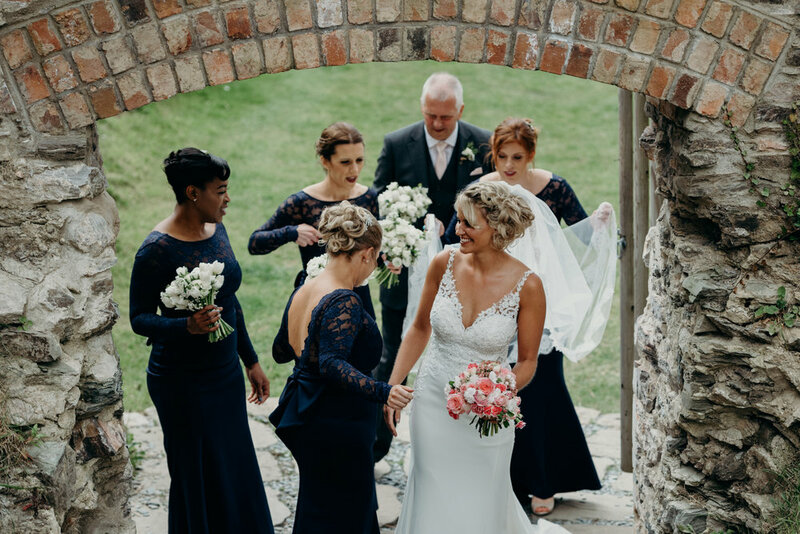 Clare Kinchin Photography captured the day so beautifully, just look at these wonderful photos! It was such a pleasure to be back at Polhawn Fort again, I had a great time and congratulations to Laura & Luke!